This Plantronics Entera Wideband Binaural Noise-cancelling Headset is dual-earpiece corded headset that blocks out background noises and ensures that conversations are always crystal clear. Through the technologies integrated in the device, users get to enjoy high quality audio and sound experience. And since the device is offered in a more cost-effective price, the cost-conscious contact centres worldwide can benefit from this headset. 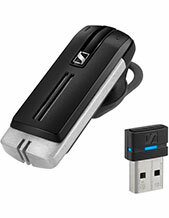 Plantronics Entera Wideband Binaural Noise-cancelling Headset is structured with quick disconnect feature that allows users the flexibility to move around the office yet remaining to be connected at all times. This headset is the very definition of comfort, performance, and strong audio performance. If you are interested to purchase this incredible headset, call us right now through Australia wide 1300 131 133! 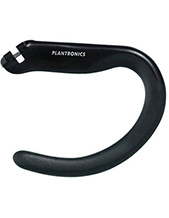 Founded in the year 1961 and headquartered in Santa Cruz, California, Plantronics takes pride in being one of the leading consumer electronics frontrunner in the global market. This electronics company has approximately 5,000 employed experts that help customers in developing and manufacturing high quality products and solutions, from simple corded and Bluetooth headsets to iconic business and consumer audio products. 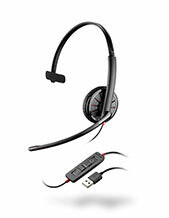 The company also offers specialised products and solutions, including music and gaming headsets and solutions. Plantronics started out to be one of the show stealers in the 1960s primarily because it is the first company to produce lightweight headsets in contrast with the large and bulky ones used that time by pilots for communication. 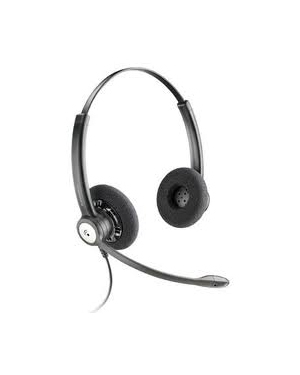 Headsetsonline Pty Ltd is an Australian enterprise that operates in the market through its secured and enterprise-encrypted website, Headsetsonline.com.au. The site uses a green URL HTTPS address bar, which signifies protection and security in itself. It also uses GeoTrust True Business ID with Extended Validation, 256-bit Identity Authentication, and 2048-bit Root Encryption as additional elements that could add to customers’ safety while doing their online shopping in the site. Since the company also uses the same secured login that banks use, customers can freely shop without any worry for theft. Headsetsonline is popular for being customer-focused, which is evident through the convenience and affordability that it provides. Convenience is offered by the company through its site, where customers can easily visit the site, skim through the company’s entire product portfolio, and check out the products and solutions they need with their own hands. Affordability on the other hand is delivered through the promise of flat shipping rates Australia-wide.